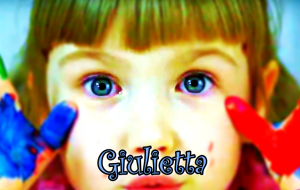 “Giulietta” is a Music Video for the Universal Children’s Day. The music is a piano song composed and performed by Lorenzo Pescini (http://www.pescini.com) for the Universal Children’s Day (20th November). “Giulietta” is from the Album “Piano di fuga” (2015). Juliet is all the world’s children. Every child has the right to dream. All children should have hope for their future. Children are a miracle. So in all parts of the world children’s rights must be respected and protected. The music is the true universal language can help spread this message of love. Consequently Lorenzo Pescini tried to translate these feelings into music for piano. Pescini composed the song “Juliet” inspired by the depth, sincerity and purity of the look of his niece 6 years old. The United Nation’s Universal Children’s Day was established in 1954 and is celebrated on November 20th each year to promote international togetherness, awareness among children worldwide, and improving children’s welfare. November 20th is an important date as it is the date in 1959 when the UN General Assembly adopted the Declaration of the Rights of the Child. It is also the date in 1989 when the UN General assembly adopted the Convention on the Rights of the Child. In conclusion, since 1990, Universal Children’s Day also marks the anniversary of the date that the UN General Assembly adopted both the declaration and the convention on children’s rights. Special Page in Italian language: http://www.pescini.com/cms/giulietta…. What’s your idea of Beauty in the World?